The black iSeries 1510-6 Waterproof Utility Case with Cubed Foam from SKB features a cubed foam interior which can be cut to custom fit the items you are transporting. The injection-molded case is made of polypropylene copolymer resin and is waterproof, gasketed, dust-tight, and submersible (MIL-C-4150J). The case is also resistant to UV, solvents, corrosion, fungus, and impact damage. 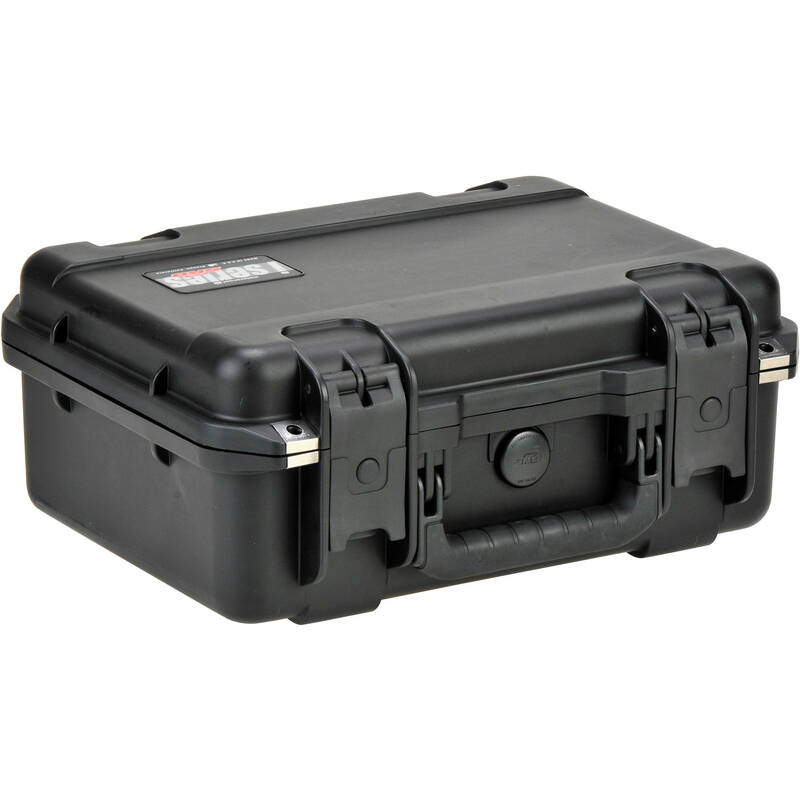 Molded-in hinges and trigger release latches add to the security of the case. A comfortable rubber overmolded cushion grip handle snaps into vertical/horizontal place for convenient carrying. A built-in automatic ambient pressure equalization valve (MIL-STD-648C) allows for safe air travel. Box Dimensions (LxWxH) 17.2 x 13.4 x 7.2"